Very well maintained home on the low traffic section of S. Shore Drive. Ocean view. 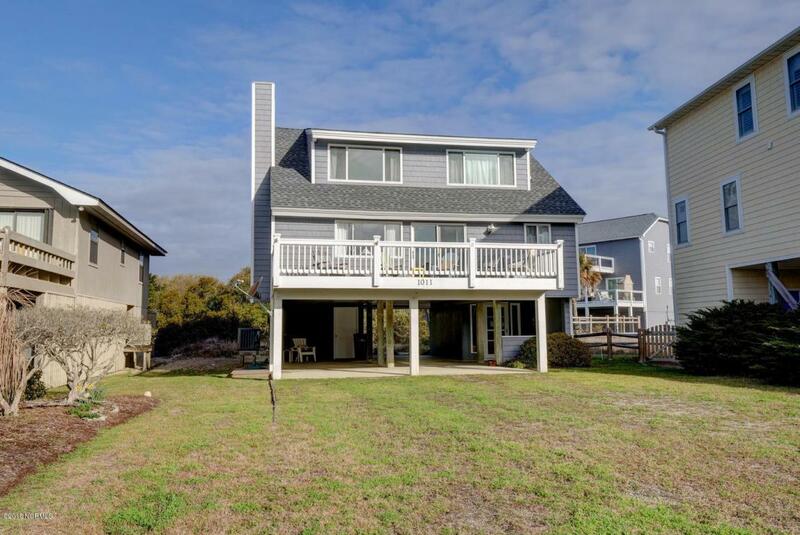 Beach access within walking distance. True second home, never rented.New roof and heat pump. Newer windows, siding, chimney cap, bathroom upgrade, dishwasher and water heater. Bonus loft area upstairs. Storage underneath. Carport. Large deck. Deep yard.